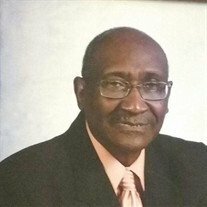 Obituary for Luvert Williams | E.F. Boyd & Son, Inc. Passed on July 29, 2018. Beloved husband of Marinelle (deceased); father of Karen, Anthony, Joseph, and Vicki; brother of Lorenzo and G.W. Wake Saturday, August 4, 2018 9:30am at Lutheran East High School 3565 Mayfield Rd. followed by Service at 10:00am. Arrangements by E.F. Boyd & Son Funeral Home 2165 East 89th Street.